Available now in Instrotech Australia 's belt weighers range, the Model 5013 self-contained, easy-to-use indicator for belt weighing applications has all the features of more expensive systems all in one indicator. 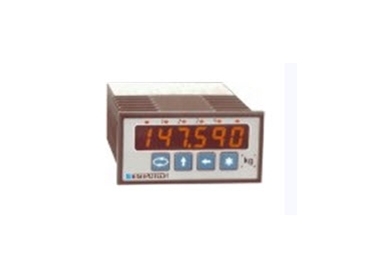 Built to a low cost, high performance design, these belt weighing indicators feature a full 5½ digit 14.2mm high, bright red LED display, touch button ranging and setpoint adjustment, and are housed in a DIN 48 x 96, 147mm deep enclosure. Terminations to these belt weighing indicators include load cell input, encoder input and totaliser reset input. Excitation for load cells is included as is a 24V DC supply for the shaft encoder or other speed pick-up, and the stable bridge excitation output voltage includes sense feedback to compensate for line variations. 5013 belt weighing indicators feature precision front-end circuitry to ensure high stability and accuracy for the millivolt inputs from the load cells. Thanks to the indicators' calibration method, pre-calibrated ranges may be allocated zero and full-scale values, which can be adjusted on site to allow for deadweight or back-balance offset and single point span calibration (test weight trim).